Chris and I were in desperate need of a vacation and with little to no time to plan we decided that a “stay-cation” would really be is a far as we would get away. After having heard rave reviews on their brunch menu I knew that a stay at the Ritz Carlton Toronto would fulfill our basic needs: relaxation, good food and fun. The first thing I have to say is that the star rating on this hotel is apparent straight away. Not because of the expansive lobby or chandeliers but because of the people. Not that I would expect anything less than top notch staff from the Ritz, but you really get the difference between someone being nice to you because it’s their job, and someone who is just really nice and is great at their job. They treat everyone like they’re a VIP client and I have to say, this stay has me hooked on the Ritz. We stayed Saturday and got upgraded to a suite. There was a TV in my bathroom mirror and the perfect hallway for sock slides. 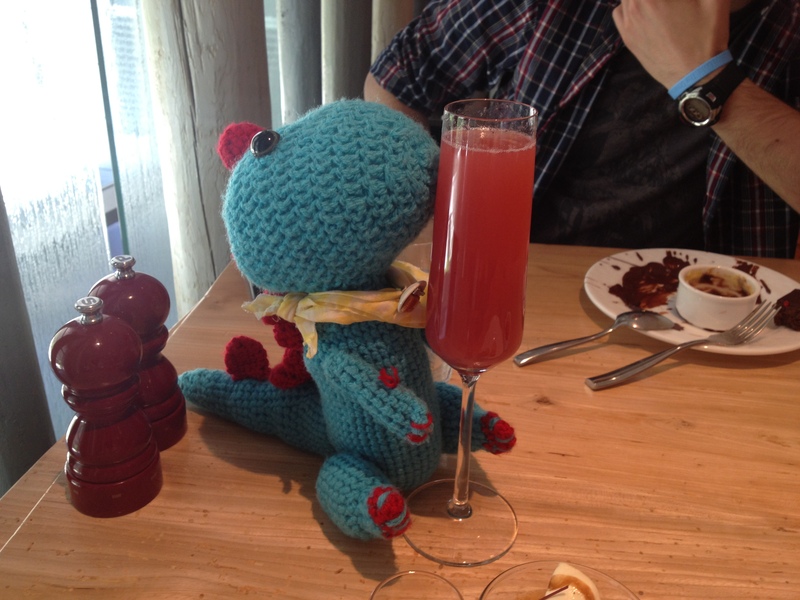 We made sure our bellies were ready for their Sunday morning brunch held at their restaurant TOCA. It’s not cheap but it’s definitely worth every penny. If you’re wanting a boozy Sunday then their bottomless mimosas and bellinis will definitely make your day! 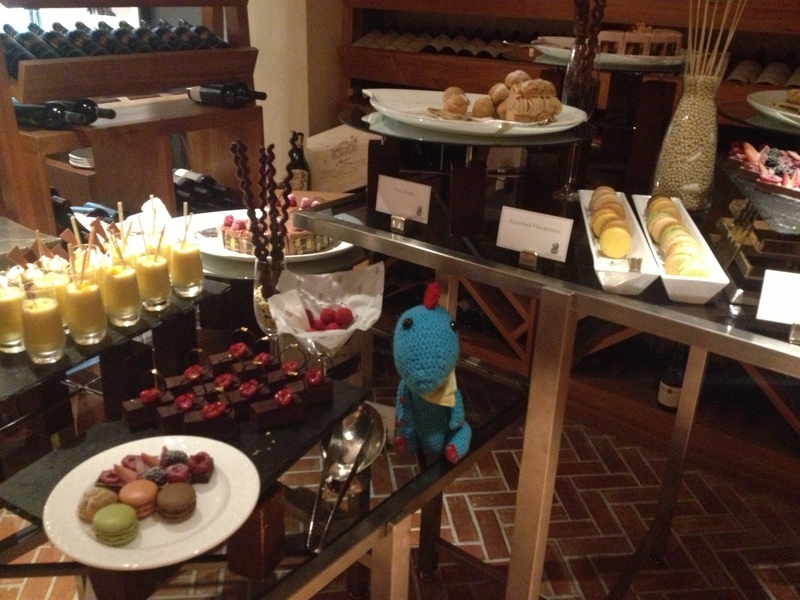 Just a few of the buffet items from the Ritz Carlton brunch. They have a great cheese selection as evidenced by their Cheese Cave. They keep a pretty extensive list of their available cheese on the chalk board by the charcuterie and seafood display. 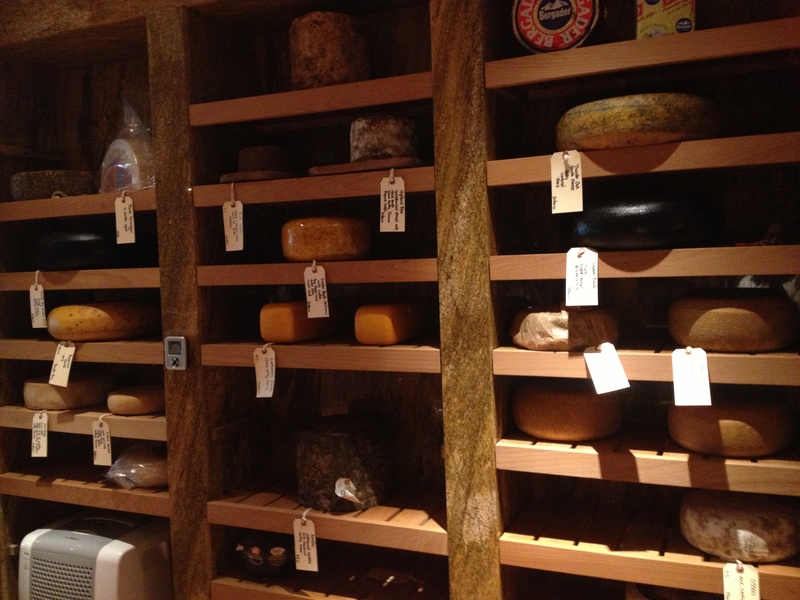 I had the chance to enter their cheese cave and took a picture from from the inside. This room makes me happy. How do I get a cheese cave in my apartment? 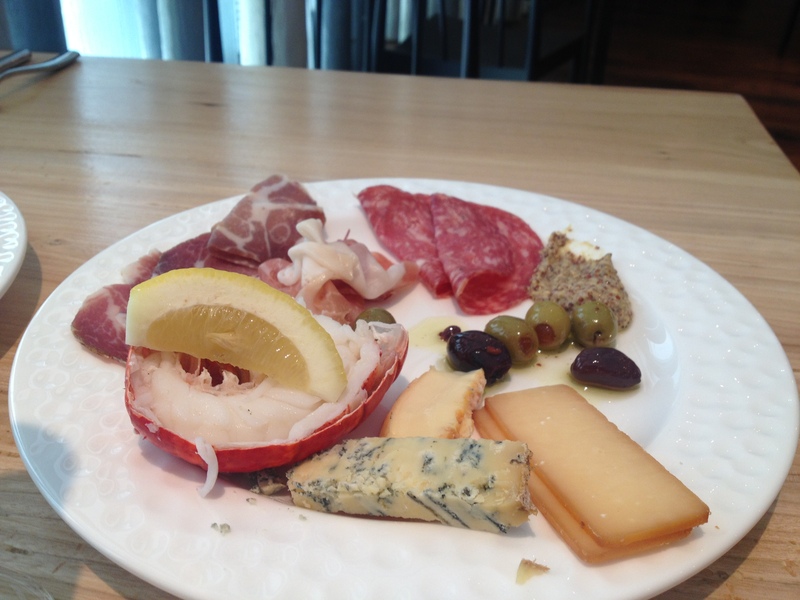 You can DIY your own charcuterie plate with their cold cut and seafood display. The lobster tails are particularly divine! 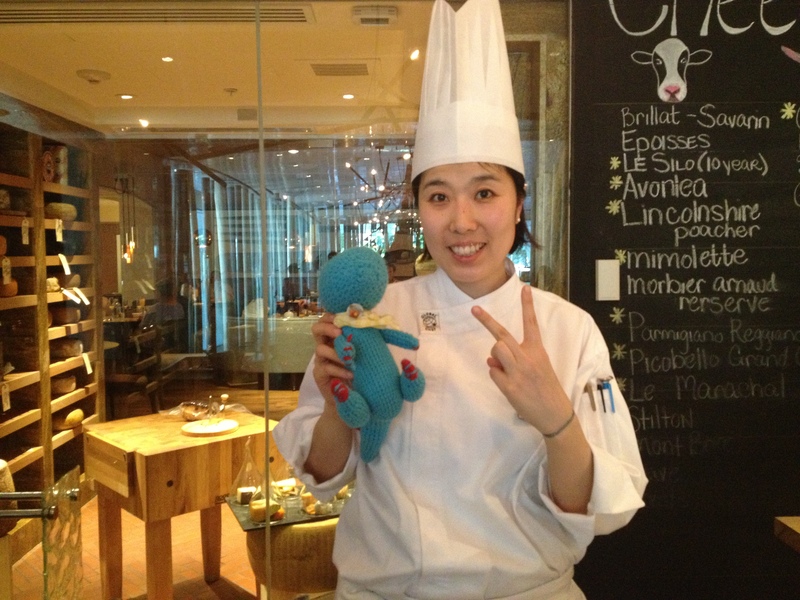 Benny and our omelette chef! Thank you for a delish omelette! 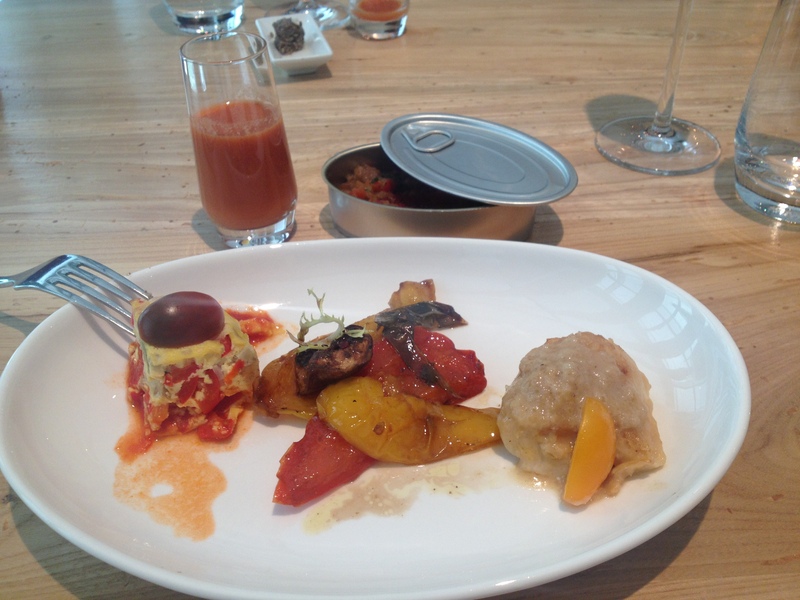 The food was well executed and not dry or bland which sometimes happens with a lot of unmanned stations or food that sits out for a long time. The quality, like the hotel, was top notch. 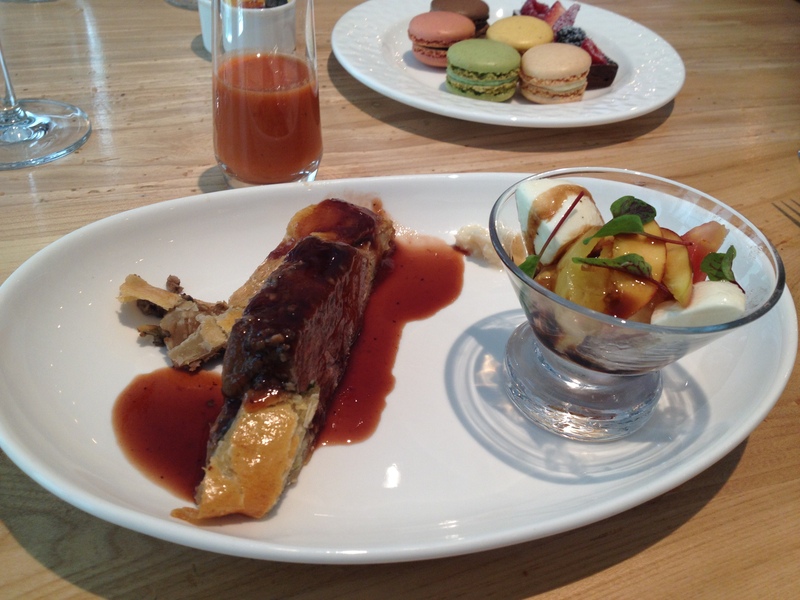 Beef Wellington from their carving station was very tasty with lots of flavour. Best would have to be their dessert room which they placed within their wine cellar (pictured above). They had a chocolate fountain and lots of fruit, tarts, and cookies. 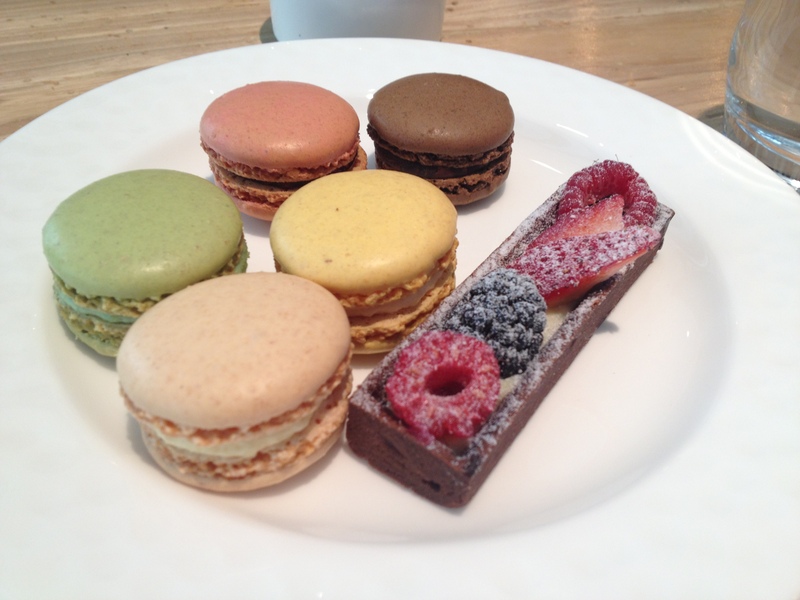 My favourites were the macaron and the mini key lime tarts. With the tart, they did a good job treading the line between citrus and sweet. Sometimes key lime is overly sweet and other times a bite makes you wince from the sourness. There was none of that here. The tart had the perfect shape for holding and when I took bites it didn’t fall a part in my hand. 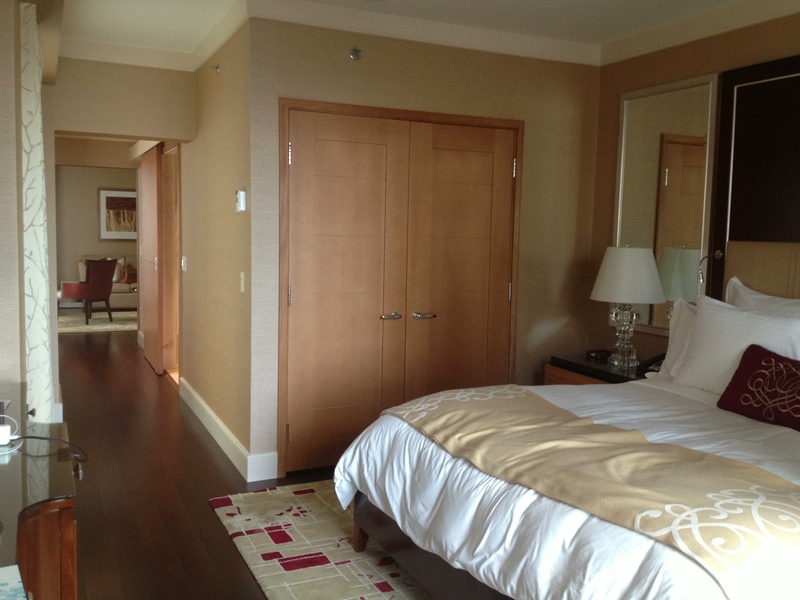 The stay was memorable, enjoyable and highly recommended for anyone needing a city vacation. Whatever your R&R needs I hope your long weekend plans will fulfill them.